Be sure to thoroughly mix Power PHAT into the complete feed, do not top dress. 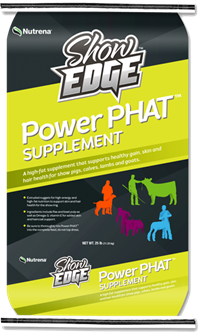 Show Edge Power PHAT supplement should be fed along with Show Edge complete feeds. 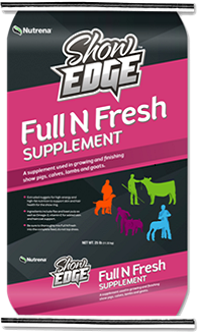 This supplement can be fed at any time to support skin and hair health, bloom and healthy gain when feed intake is depressed. Be sure to thoroughly mix Power PHAT supplement into complete feed, do not top dress. 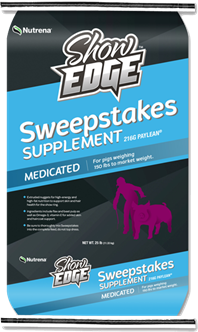 Show Pigs: Supplement Show Edge Premium Show Pig Finisher diet with up to one LB per head per day of Show Edge Power PHAT supplement from 30 days prior to and until show date.